‘Victims’ of poverty and victims of natural disasters are two segments of humanity that receives the most sympathy. Rightly so. There are 4 billion people at the bottom-of-the-pyramid. The population of the world is 6 billion. Isn’t it an irony that two-thirds of the human population has to live on things that go into a basic disaster relief kit? The rock-bottom bare essentials? But more importantly, we indeed feel blessed to know that we are able to provide relief when it is needed most. Since our inception, we have had one chance to be part of a disaster relief program. 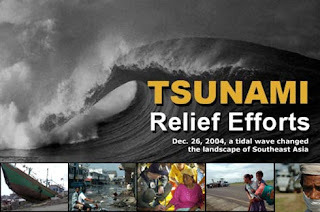 The catastrophe of the Indian Ocean Tsunami of December 2004 is well documented. It also struck the state of Tamil Nadu, home to Servals Automation. The Government of Tamil Nadu distributed about one lakh relief kits consisting of a stove, steel box and a vessel to the victims. The Government told the procuring agency to use as much of Servals’ kerosene burners as possible. We were a young company then and were not geared up to support the relief measures beyond 60000 burners. We have grown now. And are hoping to play a bigger role in disaster relief measures whenever needed, wherever needed. But of course, hoping there won't be many. Any.